Pratt & Whitney Hangar - SURE STEEL, INC. Located in Southern California, this 67,500 SqFt hangar was built to house several different types of aircraft, including the Boeing 747, for maintenance and repair. 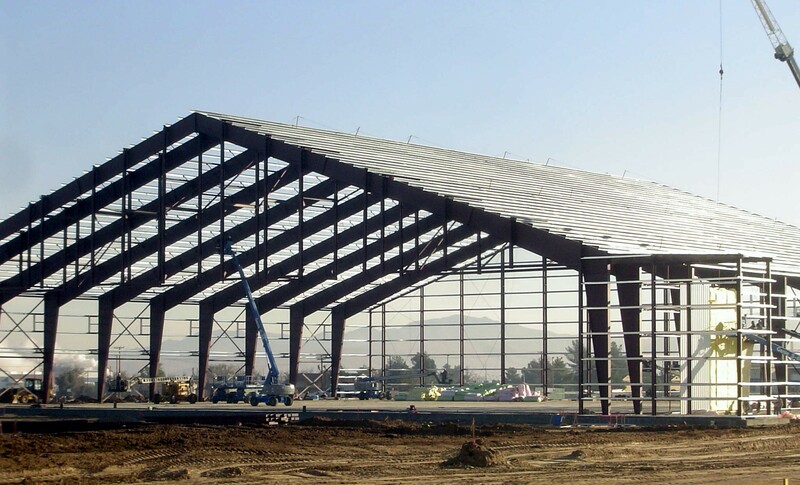 As part of the Southern California Logistics Airport, the 250’ deep hangar boasts a clear span of 270’ and stands 84’ tall. 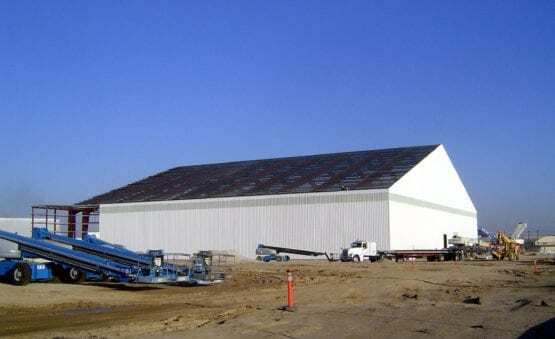 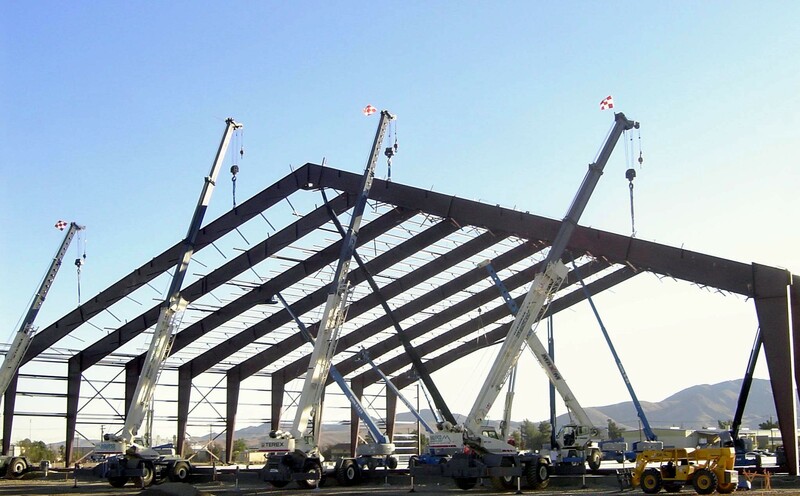 Sure Steel was contracted by California Building Systems to erect and install the pre-engineered metal building components, as well as all of the metal roof and wall panels. 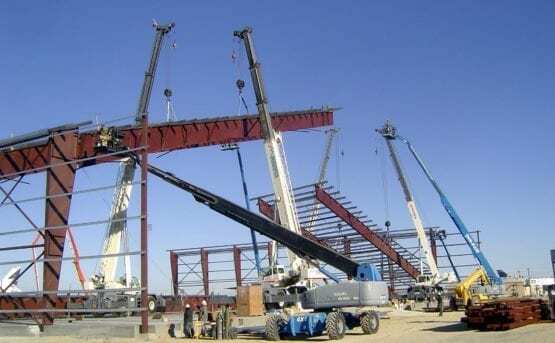 The project had a very tight schedule and Sure Steel finished the project in less than seven weeks. Sure Steel utilized multiple cranes and installed the roof system in a ‘kit’ technique where segments of the roof were built on the ground first, and then hoisted into place. This method improves the quality and efficiency as well as reduces the amount of time our erectors are exposed to falls, helping us maintain our culture of safety.